Pragmatism is a philosophy that privileges experience and action, it is also a philosophy of invention and creativity. 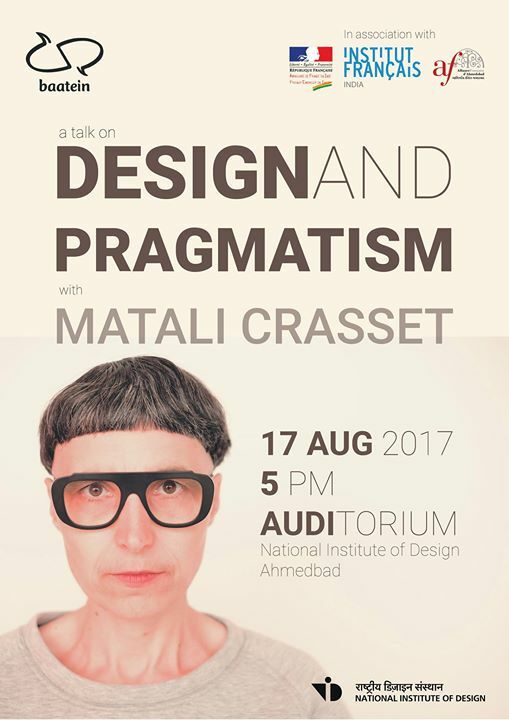 Matali Crasset, an Industrial Designer, graduated from “Ecole Nationale Supérieure de Création Industrielle, Paris in 1991 will be giving a lecture on Design and Pragmatism on 17th August, at NID Auditorium. Tha lecture is open to all interested in the field.